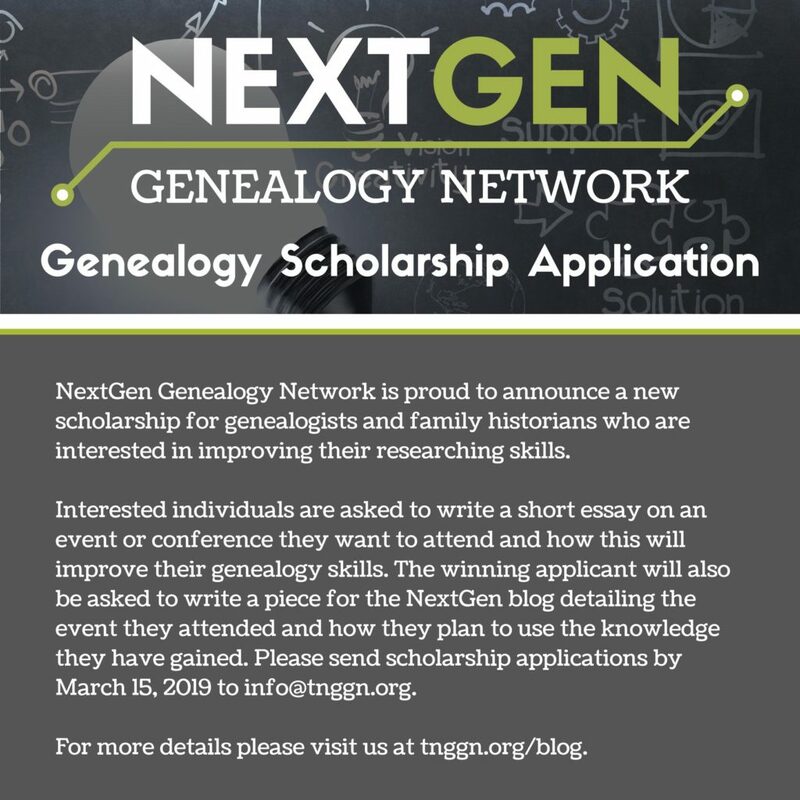 The NextGen Genealogy Network is excited to announce our new project – The NextGen Scholarship! Once a year, we will be awarding a NextGen member a $500 prize to use towards a Genealogy Educational Opportunity or Genealogy event. Applicants will write a short essay on the event they want to attend and how this will improve their genealogy skills. All entries must be emailed to info@tnggn.org by March 15. Essays will be judged by the Scholarship panel and winner will be notified by email by March 27th. The winner will be required to write a piece for the NextGen blog detailing the event they attended. One Runner Up will receive a NextGen T-Shirt. Receipt or proof of purchase must be provided to the Scholarship panel before prize money is awarded. Former and current NextGen Leadership Team members are ineligible for this scholarship.